Seeing how it’s Academy Awards season, I’ve been watching bizarrely oscar-related movies… first Susan Slept Here was narrated by an oscar statue, and now this one, the only movie to be nominated by accident. 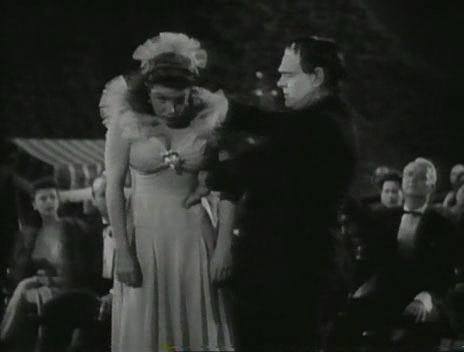 It seems a song called “Pig Foot Pete” appeared in an Abbott and Costello movie with the same singer (Martha Raye) and songwriters who worked on this movie, which probably accounts for the never-properly-explained discrepancy of “Pig Foot Pete” getting Hellzapoppin’ awarded an oscar nomination. 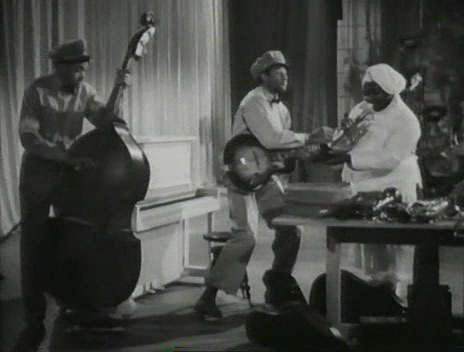 It’s all beside the point, since nothing stood a chance against the song White Christmas from Holiday Inn. 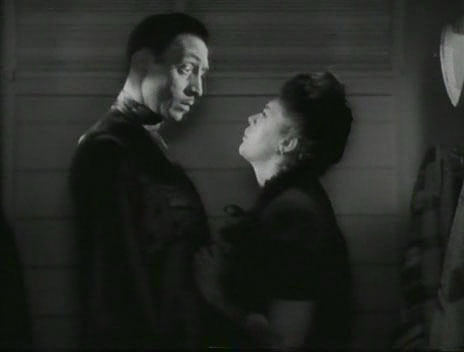 The story involves mistaken identity, Martha Raye (Monsieur Verdoux) running after Mischa Auer (My Man Godfrey) because she believes he’s an eligible millionaire, while he tries to score Jane Frazee – but the movie (based on a fourth-wall-smashing hit broadway play) is really just an excuse for popular comics Ole Olsen and Chic Johnson to riff on everything around them, including the film itself. 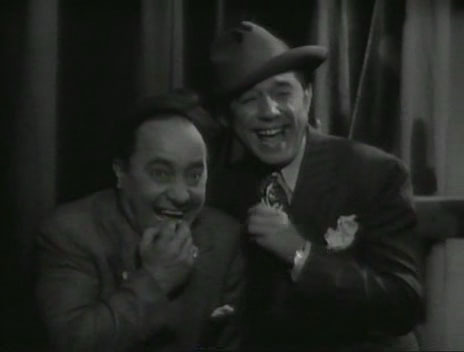 Goofy-looking Hugh Herbert (whose “hoo-hoo-hoo!” laugh supposedly inspired the creation of Daffy Duck) of Footlight Parade, Sh! The Octopus and The Beautiful Blonde From Bashful Bend, also wanders about making jokes. Movies like this (and there aren’t many movies like this) make the phrase “screwball comedy” seem inappropriately applied to such relatively calm, normal films as Bringing Up Baby. Surely the Marx Brothers movies were an influence. I’d like to think that Frank Tashlin, who was working in cartoons at the time this came out, was heavily influenced by its high-energy cartoony gags and unhinged self-reflexivity. Some of the jokes (many of the jokes!) are very bad, but you’ve gotta forgive them because overall the movie is too amusingly nuts to dislike. Director Potter would work with all the biggest stars in his other films, and eventually make a sequel to this year’s biggest oscar-winner Mrs. Miniver. Pretty girls are roasted on a spit in hell – the movie opens with this! The legal battle of Olsen vs. Johnson vs. Universal Pictures has led to the commercial unavailability of their work for so long that if it finally came out now, in sparkling restored deluxe DVD editions, nobody much would care since they are barely remembered. Good job there, guys. NY Times called it “an anarchic collection of unfunny gags,” but then, they also spelled “alittle” as one word. 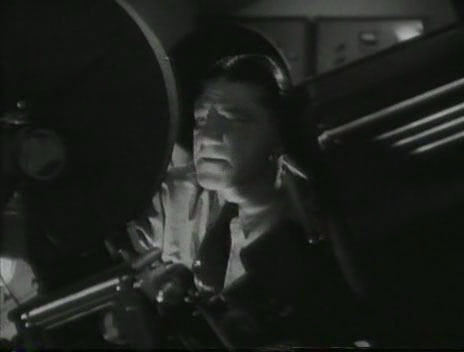 Once and future stooge Shemp Howard is the film projectionist. I love how he, not the cameraman, can change the framing of the movie by panning to follow women in swimsuits.